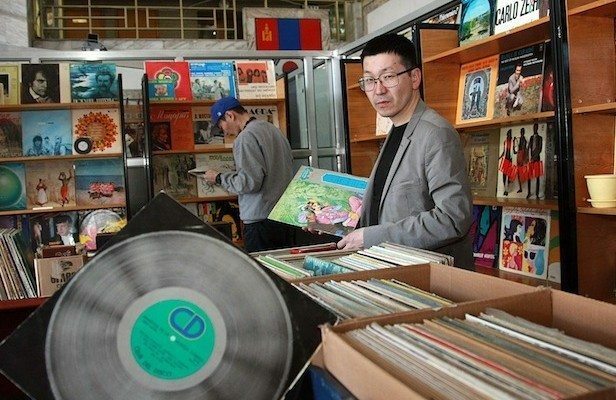 Good news for vinyl heads in Ulaanbaatar, Mongolia — you no longer have to travel 1,243 miles to get your fix. An entrepreneur by the name of B. Batbold has opened a new shop, called Dund Gol, in the city, which has a population of almost 1.5 million. Before he opened the shop, the nearest vinyl emporium was in not-nearby Beijing, the Vinyl Factory reports. Batbold’s collection is a carry-over from his days as a hip hop artist. He’s willing to part with most of it, but he says his jazz collection is not for sale.